Listening to high-end vinyl playback means experiencing music recreated collectively by a turntable system and phono stage. Significant changes in the caliber and character of an analog system can very often occur by changing cartridges, as long as is the cartridges are compatible in mass to the tonearm used. To many, this constitutes the most prevalent fun factor of the hobby, and it is unique to the vinyl format, unsurpassed by any other format to this day. Parts 3 and 4 of this survey will focus on cartridges and tonearms, starting with the 9-inch Audio Note UK Arm Three/II tonearm and IoI (Io “one”) moving-coil cartridge. In the audio industry, Audio Note UK is the world’s foremost purveyor of the application of silver. While Peter Qvortrup, owner of the company, promotes the use of silver in his company’s top cables and electronics, copper cables and electronics utilizing copper wiring populate the less-costly segments of products in the company’s lineup. I reviewed the company’s Ongaku integrated amplifier as well as the DAC5 Special D/A converter, both employing increased use of silver in circuits and transformers. 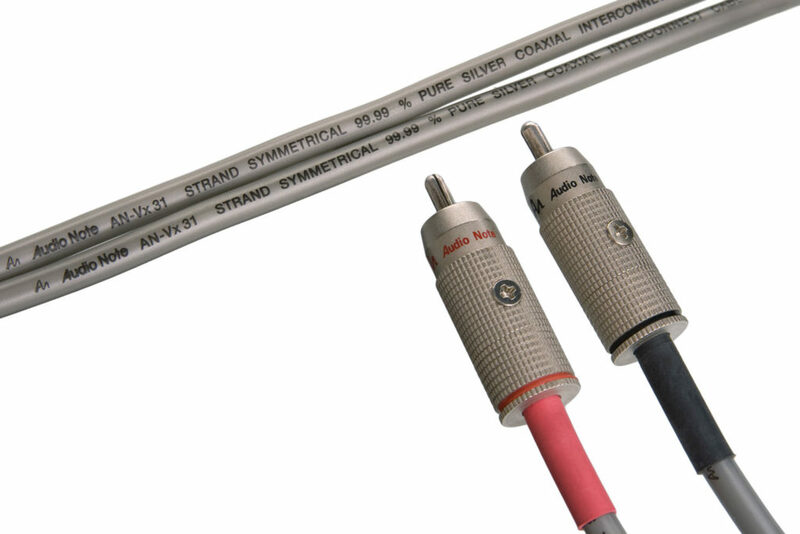 To this day, a collection of the company’s AN-SPx 27 silver speaker cables and its Sogon™ and AN-Vx silver interconnects remain my personal reference. Of the company’s tonearms, every model is designed and built in-house, hardwired with Audio Note RCA cables for connection with a phono preamp. For example, the Arm One is equipped with AN-A copper RCA interconnects, while Arm Two features AN-V, which has 15 strands of 99.99% pure symmetrical litz silver wire. The Arm Three/II, the subject of this review, boasts the 31-strand variant of the AN-Vx model of the silver RCA cables. The Arm Three/II’s RCA connectors are the very substantial, heavily silver-plated AN-P. The Arm Two and One are equipped with the AN-GP-AG silver-plated RCA. Considering a one-meter pair of the AN-Vx costs £934.99 (US$1,222 as of October 2018), plus £222.18 or US$290 for the AN-P RCA plugs, for a total of $1,512, the US$1,808.96 Arm Three/II seems a phenomenal deal, if the performance holds up. Having an effective mass of 11.5g, the Arm Three/II is a medium-mass arm, described as a custom fit for the company’s IQ and Io cartridges. Peter advised explicitly against matching it with very high compliance, high mass cartridges, which he believes are more compressed dynamically, and rarer and rarer on the market these days anyway. The turntable used for this review was the Kyocera PL-910, a vintage model in pristine condition manufactured by Micro Seiki in the 1980s. 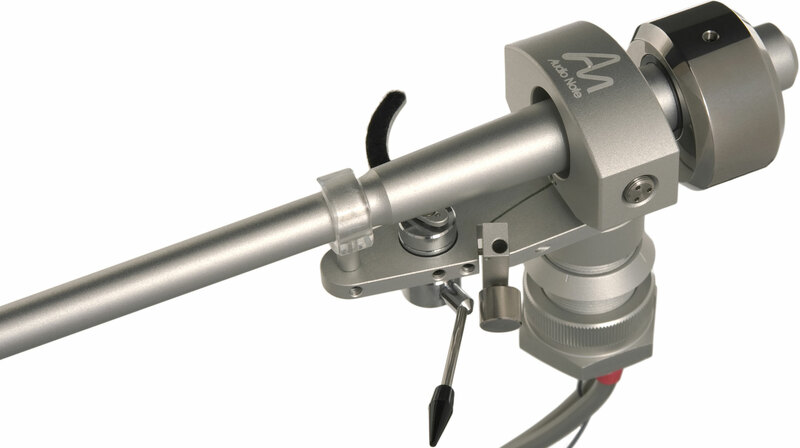 Peter prefers his tonearms to be of the gimbal type, offering superior stability to unipivots: ‘Unipivots are unstable because the bearing does not support the arm/counter weight in the vertical plane, just look at one when to put it on the record.’ The Arm Three/II comes with two counterweights, one weighing 164 grams and the other 194 grams. The owner’s manual specifies the heavier one for the Audio Note IoII (Io “two”) cartridge, which weighs 18 grams, but I found the heavier counterweight indispensable even for the IoI ($3,689.40). The slow auto-landing feature on this tonearm is one of the most-often overlooked design elements in the industry and a thoughtful inclusion in the Arm Three/II. Methinks most tonearms drop the needle a wee bit quick. There is no azimuth adjustment option.